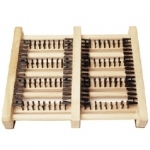 Sturdy Wooden Boot Jack Made of sturdy solid hardwood for getting your boots off quickly. 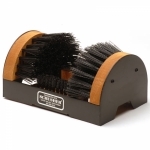 The SCRUSHER® all but eliminates dirt, mud, grime and snow from tramping in your door. ..
Works on leather, vinyl, rubber, and canvas, seals and protects. Stretches tight shoes and gloves permanently. 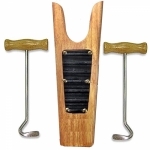 Beautiful realistic horse head shoe horn with wrist strap, measures 22". 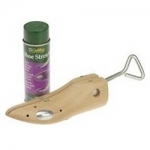 Tingley Rubber BootSavers keep your leather boots clean and dry. Toasty Soles. An easy to use shoe insert that keeps your feet toasty warm. Toasty Soles reflect your own body heat back into your feet! Stay warm and in fashion with these stylish faux fleece cuff that can be rolled over top of your boot. Stay warm and in fashion with these stylish faux fur cuff that can be rolled over top of your boot. 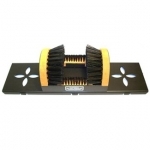 Heavy duty rubber footbed and an adjustable strap for a comfortable fit. 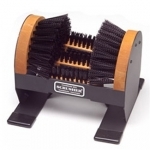 Rubber strips on the bottom keep it securely in place, while its tough black bristles remove mud, and muck. 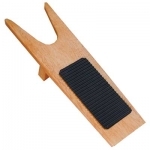 Sturdy Red Wood Boot Jack Made of sturdy solid hardwood for getting your boots off quickly.